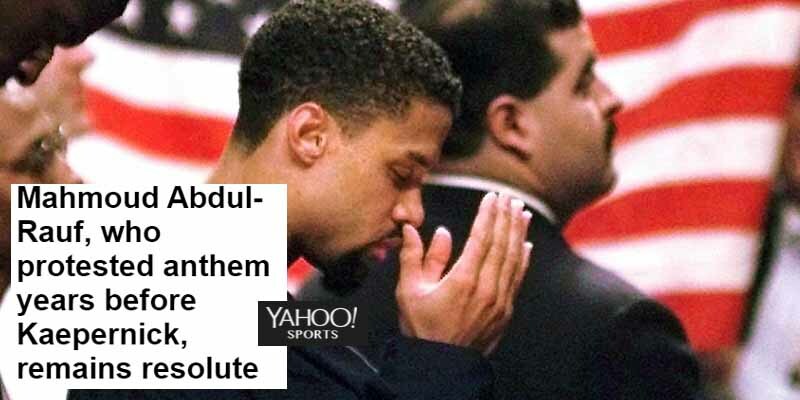 Back in the 90s, Denver Nuggets’ Mahmoud Abdul-Rauf was in a similar situation to Colin Kaepernick. He protested the national anthem by sitting down due to the treatment of his people and the fact that it conflicted with his faith. When he was suspended one game for this, he instead began to pray during the anthem. After this, his NBA career was basically over. He started playing overseas and never really made an NBA comeback.